The first type of panic attack is called an unexpected panic attack. This can happen at any time and any place. It seems to come "out of the blue" and does not need a specific phobic situation to trigger it. The second type of panic attack is expected. 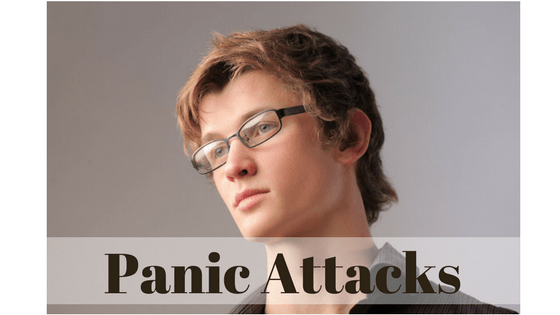 This type of panic attack can occur in people who have a specific phobia. 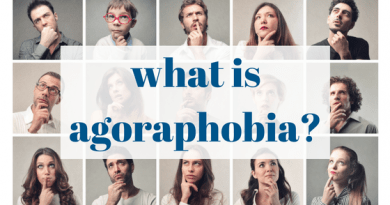 This panic tends to happen only when you're confronted with the phobic situation, for example a high building, an airplane, an elevator, a public speaking situation, or whatever situation or object triggers a phobic reaction. It may be helpful to think of unexpected panic attacks, as being like the flu and an expected panic attacks, where you experience panic only when facing a specific phobic situation, as similar to an allergy. 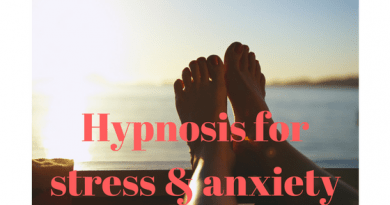 If you have unexpected panic attacks you may feel in constant discomfort — from waking up until going to sleep there is the feeling that something is wrong and you don't know when the panic is going to hit. This uneasiness may seem to be there all the time — sometimes more than others — but even on good days there are feelings of discomfort and apprehension that just seem impossible to shake. Panic attacks may pop up at the least expected and most inappropriate times. Expected panic attacks, on the other hand, are like an allergy. For example, if you are allergic to cats, and you're near a cat, you will have an allergic reaction. 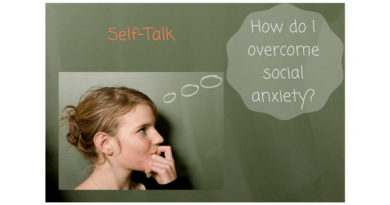 With an expected panic attack, when you face a certain situation or object (frightening social situation, heights, elevator, airplane, bridge) you will have a phobic reaction. Take the situation or object away and you are fine. Like an allergic situation where you can choose to avoid cats, you can avoid the phobic situation. However, avoiding is what keeps the fear alive, so this is not a good long-term solution. One of the differences, is that it's more difficult to avoid panic attacks if you have the unexpected type (because they come "out of the blue"). It's easier to avoid a specific object or situation. However, if you take away only one thing from this article, remember this: Avoiding is ultimately the thing that fuels your panic attack. Talk to a psychologist or psychiatrist about your specific situation, and work with them to develop a treatment plan tailored to your specific situation. See when to see a Psychologist and when to see a Psychiatrist. Check out the articles on how to find a therapist. Also see our list of recommended treatment centers and online anxiety﻿﻿ ﻿﻿help. Recovery in both situations requires gradual and careful exposure to the frightful situation. Why? Because avoidance is what keeps the phobia alive. The ability to get away from the phobic situation is convenient in the short-term but it fuels the fear and gets in the way of recovery. If you have panic attacks, know that - no matter what causes your panic attacks - you can learn to tolerate some discomfort in order to desensitize and get your life back. Some people do this more easily than others. We recommend you work with a very sensitive and patient therapist or coach who can teach, guide, and motivate you through the desensitization process. Your guide will develop a treatment plan tailored to your needs so you can progress at a pace that works for you. Once you learn techniques for managing the unpleasant feelings, you can do well and, although you may continue to feel some discomfort, it will gradually become less and less. It's important to work with a cognitive-behavioral anxiety specialist who can show you the techniques. Our experience has shown that many people with both types of panic attacks experience a great deal of relief and comfort just from knowing what is wrong with them, that they are not crazy, and that others have experienced the same thing — all of which they are able to get from joining a phobia therapy or support groups. Once they begin to learn the techniques which help them confront their fear and understand that their feelings are frightening but not dangerous, they are so relieved that they are willing to tolerate the discomfort of the phobic symptoms in the short-term. For others, however, symptoms remain severe and uncomfortable symptoms seem to be unbearable and stand in the way of progress. Again, a therapist or coach can help you work through these feelings. Once you understand the process, and have faith in the process, you can start on your path to recovery. If you have panic attacks and feel that your symptoms are so severe that they are keeping you from moving forward in treatment, in addition to therapy and support groups, you may benefit from medication. There are four types of medications typically used to treat anxiety disorders: Selective Serotonin Reuptake Inhibitors (SSRIs), Serotonin-Norepinephrine Reuptake Inhibitors (SNRIs), Benzodiazepines, or Tricyclic Antidepressants. Medications can be used to help you face the feared situation enough so you can go through the desensitization process. Medications are not the cure - gradual desensitization and cognitive-behavioral therapy is the cure. Medications can help you through that process. In general, don't use meds if you don't need them, but don't be afraid to use them if they help. Medications can be used for a short-time just to get you started on treatment. Once you begin to work with an anxiety specialist, they can give you information so you can make decisions on a treatment plan which may or may not include medications.